If you and your child have wondered what kinds of questions will appear on the 7th grade CogAT, below are some examples! These sample questions should provide you with a better idea of the quantitative, verbal and non-Verbal skills that your child should focus on, and demonstrate during the exam. All sample questions are based upon the most current version of the CogAT, “Forms 7 and 8”. 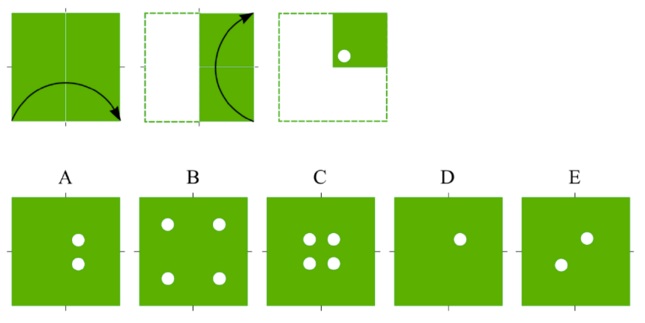 In the Figure Classification subtest, the child is shown 3 figures on the left that are related in some way The child must choose an answer on the right that goes with the first 3 figures in exactly the same way. When the questions get harder, the 3 figures are on the top and the answer choices are below, but the reasoning is the same.